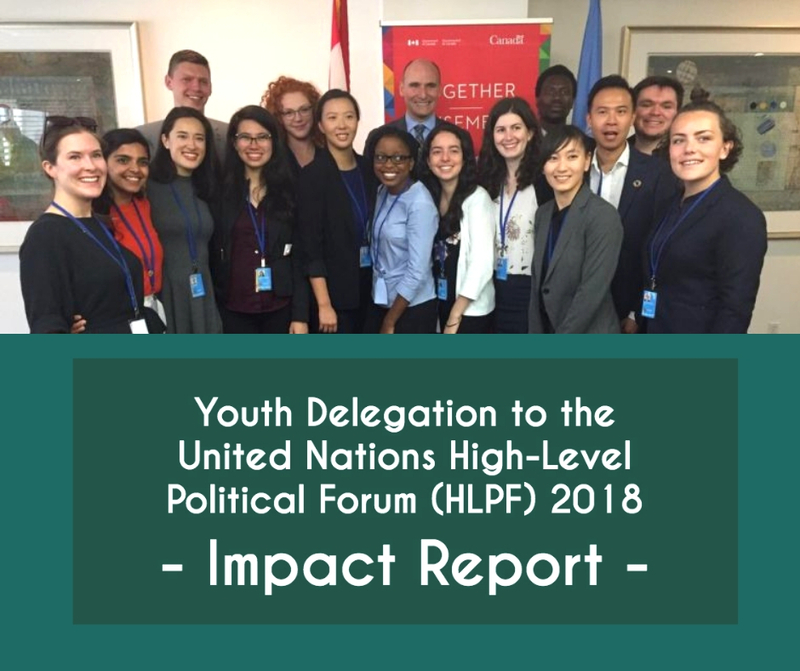 The HLPF 2018 Impact Report discusses the British Columbia Council for International Cooperation (BCCIC) Sustainable Development Goals (SDG) bootcamp initiative that brought 17 youth to the United Nations (UN) High Level Political Forum (HLPF) in July 2018. This report will provide an overview of three retreats that were part of the bootcamp and discuss how these experiences built capacity for the youth involved in the program. An analysis of the direct implications the bootcamp participants had on the Canadian federal government and Canadian civil society will then be provided. In addition, this report will include a profile on each bootcamper, discuss the learning and growing opportunities that emerged for bootcampers, and outline highlights of youth-driven initiatives that have emerged since the program has closed. Interested in participating in this program? Applications for 2019 are now open (deadline to apply Feb 15 2019).